Coming to an end of ESTÉE LAUDER's latest addition into the collection is their Little Black Liner (S$50). 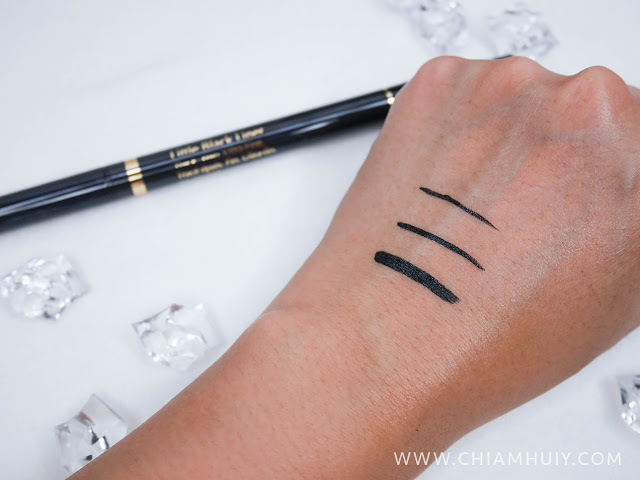 I can safely say that this is one of the best eyeliner I've ever used not only because of it's duo-sided ends, but also because the lasting effect of this liquid eyeliner, as well as intensity of the black liner color. So i was saying, the ESTÉE LAUDER Little Black Liner (S$50) comes with two ends - Thin/thick and Ultra-fine. 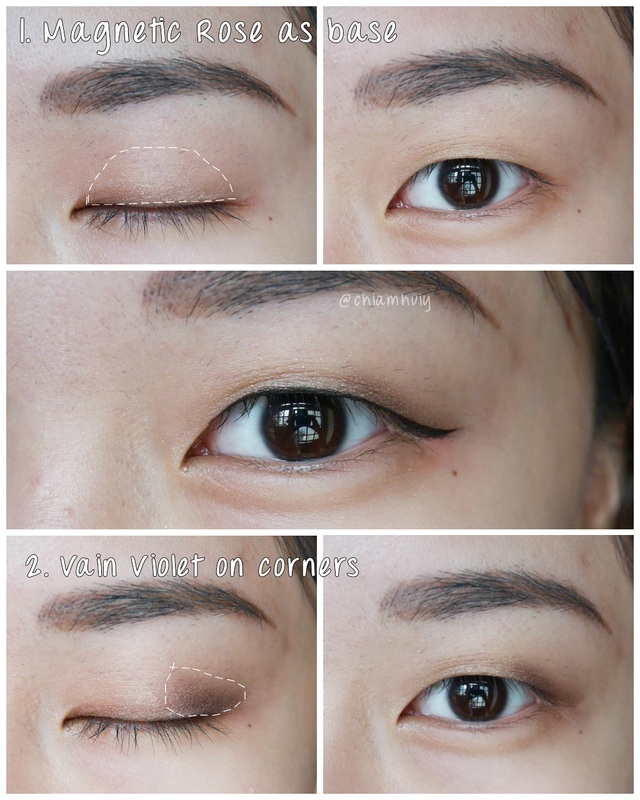 I find this duo-end extremely useful because as a lady with single eyelids folded in, I have to draw really thick eyeliner in order to make them visible. So I usually start of with drawing a thick line using the Thin/thick end. Once done with this 'base', I will continue to draw my wing liner using the Ultra-fine end. The liquid eyeliner is waterproof and smudge-proof, which i have tried and tested and approved! Here's the example! 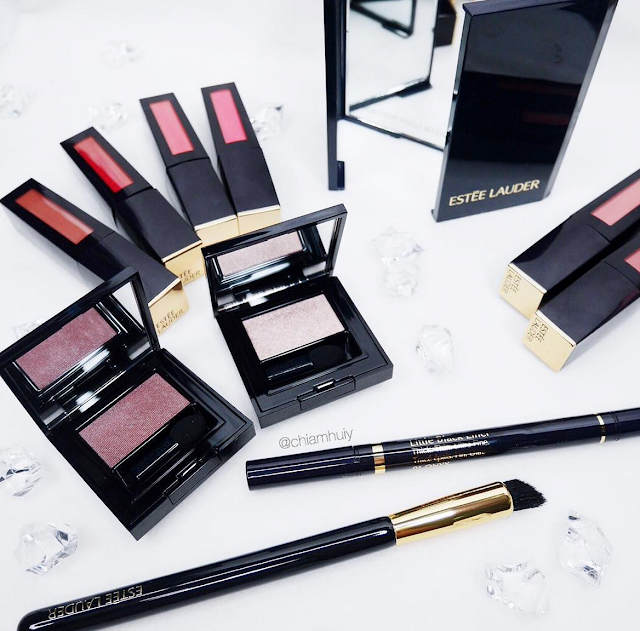 Other than ESTÉE LAUDER Little Black Liner, ou might also be interested in their Pure Color Envy Eye Defining Singles, New Sculpting Shadow Brush and and Pure Color Envy Liquid Lip Potion. ESTÉE LAUDER Little Black Liner (S$50) is now available at all ESTÉE LAUDER counters and Boutique @ ION Orchard. I really strongly recommend this liquid eyeliner to those single eyelid ladies! The swatches are jet black !! I am just loving the concept of 2 ends..